Earlier today we reported about the upcoming Xiaomi Redmi Note 7 smartphone visiting the benchmarking site Geekbench. Now we have some more information in that direction. 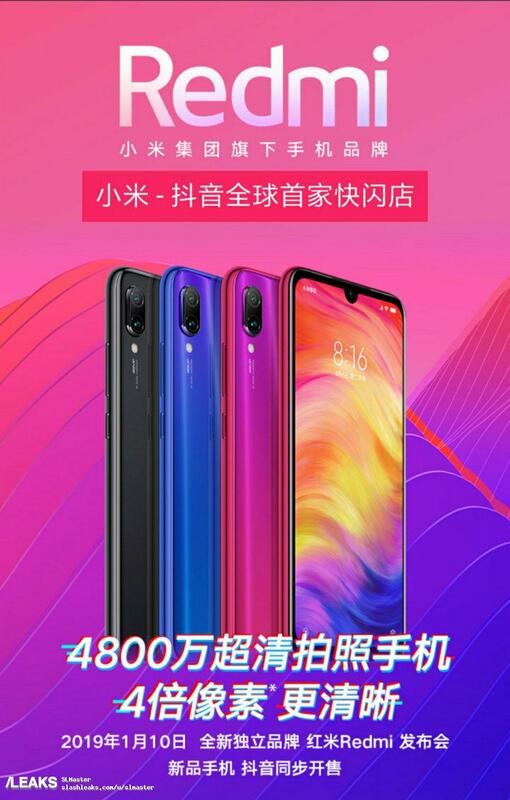 The upcoming Xiaomi Redmi Note 7 smartphone is leaked in HD poster confirming some of it’s specifications but majorly written in Chinese. The device is also said to go official on 10th January as per the leaked poster.